The Ultra4 series uniquely combines endurance racing, short course racing and desert racing to find racers that excel at all disciplines. Scherer has proven to be such a racer taking wins in all categories among a strong field of contenders driving his #76 Rubicon Express Nitto Tire car. 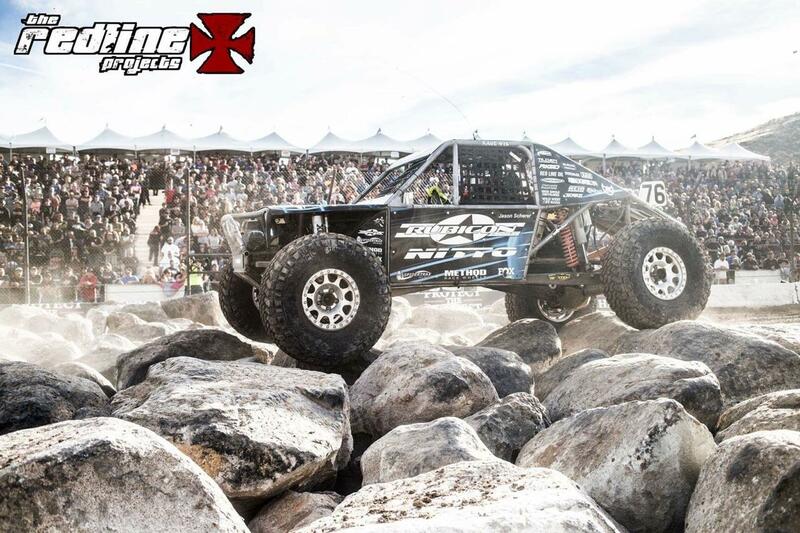 Jason, the Rage4th Team and the #76 Rubicon Express Nitto Tire car are already prepping for the 2017 season. The car is getting cut apart as they add a passenger seat for his co-driver, Jason Berger. Historically just a one-person vehicle, Scherer is opting to have the assistance of a co-driver in 2017. Testing will begin in December with the focus of King of the Hammers on the near horizon. “I am very appreciative of a new partnership with Safecraft Safety Equipment who is opening up shop space for our team as my kids toys have helped us grow out of my 3-car garage!” said Scherer.